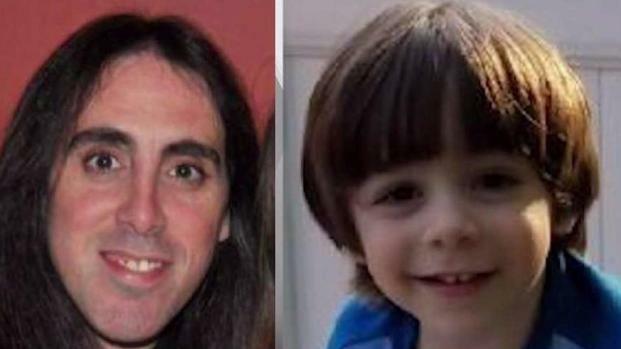 A 2-year-old boy and father from Long Island are thought to have been found dead in Virginia, less than a day after police said they were reported missing and that the dad's house had been found ablaze. Greg Cergol reports. 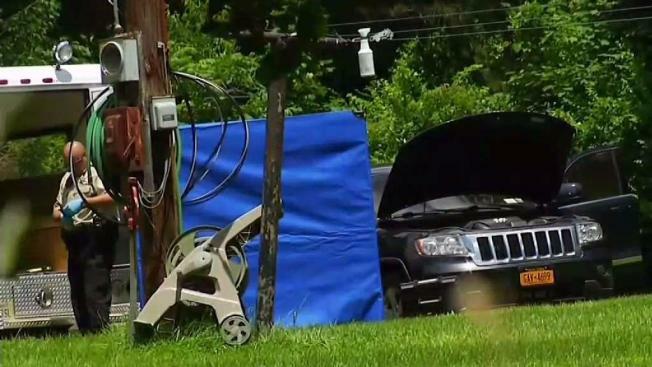 A 2-year-old boy and father from Long Island are thought to have been found dead in Virginia, less than a day after police said they were reported missing and that the dad's house had been found ablaze. Suffolk County police said positive identifications are pending for Jovani Ligurgo and his father, 43-year-old John Ligurgo III, after two bodies were found in a smoking vehicle with plates matching the father's SUV in Rockbridge, a rural Appalachian Mountain county about an hour northeast of Roanoke. Jovani Ligurgo was reported missing when he wasn't returned to his mother -- who has custody of the boy -- at their predetermined drop-off time in Smithtown Tuesday afternoon and she learned there had been a fire at the father's house. A search was conducted of the burning home, but police said it was empty. Police said Wednesday afternoon that beds had intentionally been set ablaze and ruled it an arson case. It wasn't clear if they thought the father, who authorities said may have recently lost his job, set it or someone else did. Authorities said John Ligurgo, who has no criminal record, left the state in his black Jeep Grand Cherokee with Jovani, and that the man may have had a hunting rifle with him. Police said toll cameras captured the vehicle crossing the George Washington Bridge from New York into New Jersey. It wasn't clear what time. Then just before 8 a.m. Wednesday, police in Rockbridge County, Virginia, were called for a report of a car smoking and possibly on fire, according to Rockbridge County Police Captain Tony McFaddin. Deputies, along with Virginia state police, quickly discovered that the car was the subject of a be-on-the-lookout bulletin from New York late Tuesday afternoon for a possible parental abduction, according to McFaddin. Police in Virginia contacted authorities in Suffolk, and "that led us to confirm we had the car they were looking for." "At this point, we've tentatively identified the two in the car as the father and the son that New York authorities were looking for," said McFaddin. The bodies will be transferred to the local medical examiner's office, where autopsies will be conducted to determine a cause of death, said McFaddin. The car was not fully engulfed when emergency responders arrived: "It looks like the fire was intentionally set and it smoldered, but never fully ignited and took off." Authorities are frantically searching for a 2-year-old child who was never returned to his mother's custody on Long Island and is believed to be with his father, whose house was found ablaze. Greg Cergol reports. "For a father to do this and then drive halfway down the East Coast to come to this conclusion is very tragic," said McFaddin. No Amber Alert was ever issued for the boy, who was last seen with his dad some time Tuesday afternoon in Coram. A spokeswoman for New York State Police said that the case didn't meet the specifications for an alert, noting the father "did not have a criminal history, had no history of violence and had never harmed the child," adding that once the vehicle crossed into New Jersey, the forcus of the search moved there. "This is a terrible tragedy and the New York State Police is extremely saddened by the outcome of this case," said spokeswoman Kristin Lowman. According to the New York state Amber Alert site, an alert is issued when a child is abducted and thought to be in danger of serious bodily harm or death. The site adds that in some cases, alerts may not be practical if available information is not specific enough or an extended period of time has passed since a disappearance.